This is the official, EU replacement of the original Bounty Hunter O.C.C. from the Mercenaries Sourcebook. Bounty hunting has existed since the first sentient thought,"That guy upset me and he's not in front of me. I want him in front of me." Whether by legal or illegal means, the capture and submission of sentient beings is a trade as timeless as the oldest profession. It is a booming trade in a time lacking the interconnected digital highways and inter-cooperativity of nations as it was before the coming of the Rifts. The Black Market needs its slaves, mules, and unfortunates to wring for work, the Splugorth want fighters in their arenas, and the law, be it the Coalition States looking for traitors or a Merctown client “innocently” looking for their lost and very, very rich uncle. There is coin to be had out of finding a particular composition of meat, and no end to discriminating employers in need. One part city rat, spy, and wilderness scout, bounty hunters specialize in tracking down wanted criminals, desperados, and fugitives -- dead or alive. These manhunters are often cold, unmerciful men and women with some past military or combat experience. They can be members of a mercenary company, adventurer group, team of bounty hunters, bandits, or can act as a lone-wolf operative. They almost always bring their target in, it’s just a matter of time. Whatcha gonna do, when they come for you? 1. Speedy Acquisition: Ability to ascertain where the named quarry might be headed due to the natural lay of the terrain and habits of the quarry. Each hour of tracking, after a successful Tracking skill check the Bounty Hunter may make a Master Tracker skill check. Success adds +5 meters per level of the Bounty Hunter O.O.C between required Tracking skill checks to keep on the trail. (Standard is every 40 yards/meters when following a trail.) Reroll each hour to maintain bonus. Failure means standard distance per check of the Tracking skill only. Base Skill: 30% + 5% per level of experience. 2. Bearings:When the Bounty Hunter has passed their Speedy Acquisition check each hour, the hunter may perform a bearings check at any time using the Master Tracker skill to determine if the quarry is within a mile’s trek. Requires one minute of down time to analyze the trail. Failure of the check means waiting for a full hour before trying again and possibly running right up to the quarry from behind. 3. Ambush: Once a Bearings check determines that the quarry is within one mile, the Master Tracker may begin trying to make THREE successful Master Tracker and Tracking skill check together in a row(at distance intervals required by the Tracking skill). Upon success the Master Tracker may choose to get ahead of his quarry to set up an ambush ONE mile in advance of the quarry rather than to continue tracking the quarry and running them down. If the Bounty Hunter can move fast enough and avoid detection while doing so, he will know exactly where his quarry will pass and be able to head off the quarry to utilize appropriate skills and abilities to set up an ambush (This does not tell the Master Tracker where the quarry is between the ambush site and the current position, only that they are passing through there). If detected or foiled in any manner(e.g. Unknowable events change the quarry’s path) from setting up the ambush it is possible to lose the quarry and require the effort of looking for the trail from a cold start once more. It is incumbent upon the Master Tracker to know his quarry and decide when to break from waiting if the expected time of arrival passes. The Master Tracker may only make the decision to break from the ambush once and suffers the consequences of the circumstances to make a Master Tracker skill check and Tracking skill check. (GM modifies for circumstances positively or negatively; quarry just rounding the bend or only delayed and right down the trail, or if quarry warned by locals, or quarry saw the Trackers in the distance, etc. )Rolling a successful Tracking skill check as well as a Master Tracker skill check regains the trail from the current failed ambush position and resumes the chase. Failing either check means starting cold, with the quarry gaining ground anywhere from one mile or more of distance from the Bounty Hunter's ambush position with only what he knows. The hunt is on, once more! Note: Counter-tracking techniques impact Master Tracker the same as the Tracking skill. -25% to the skill check. 4. Stalk & Capture (Rifter 24 pg 23): Specialized training as a man-hunter that enables the character to use a variety of combat moves and skills to capture his quarry alive. This stalker knows how to approach his subject for capture without alerting or startling him (tailing) until he is within striking range. The character then strikes to disarm, incapacitate and capture the subject inflicting minimal physical damage. Note that the stalking attacker can use any of the following methods and attacks for each of his melee actions/attacks as well as switch to lethal force at any point. The following combat moves can be used in any combination. Roll under the first skill percentile number for a success. The Second skill percentile is to determine the approximate market value (bounty, or resale value as a slave, or otherwise to a market trading in sentient’s.) Base Skill: 35%/45% +5% Per level of the character. 1. Tailing: Tailing or following someone without their knowledge, is a form of surveillance rather than tracking. This also includes stake-out procedures. A failed surveillance(Stalk-Capture skill) roll indicates that the subject has spotted "the tail" and is aware that he is being followed/observed. Base Skill: 35% (+5%) per level. 1. Pin: Attack roll to pin arms and legs; P.S.20 opponent can roll to parry to stop second pin attack to tie up target. A failed pin attack; no attack, loss initiative, and cannot parry/dodge opponents counter strike. 3. Whittling Attacks: Using a weapon, stick, bare hands, the stalker can accumulate stunning effect rather than damage. Each strike stuns for cumulative: -1 initiative/strike/parry/-10% spd. Penalties accumulate as long as attacks continue and last for 1d4 melee rounds. A failed strike roll results in no damage, no penalties. Note: This method of attack must be unbroken and used exclusively for all attacks. Any attack that does damage or tries to pin allows target to shake off the stunning effect within one melee round. Disarm +1 at levels 1, 3, 4, 5, 7, 9, 11, 13, 15. Entangle: +1 at levels 1, 3, 4, 5, 7, 9, 11, 13, 15. Natural 19-20 stun/knockout on natural unmodified roll to strike. 1. Using a Neural Mace, or identical tool with similar stun effects in a melee weapon mundane or magical, this expert Bounty Hunter may use Whittling Attacks to affect targets inside of Environmental Body Armor and Power armor reduced to or below 100 MDC. The penalties from Whittling Attacks affects the whole of the person and Environmental Body Armor or Power Armor. Note that a neural mace’s stun (As will likely identical tools to the neural mace unless otherwise stated) will still be ineffective against environmental, M.D.C. body armor and power armor unless opened or the helmet forcibly removed. 2. Rolling a Natural 20 during a Whittling Strike's attack will disorient and knock out the targeted person for 1 melee round ONLY if the attacker wishes, giving potentially critical time to break open the EBA seal. Upon waking, all accrued penalties of the Whittling strikes are reset as the target shakes off the effects. Alignment: Any, but some are as evil as the villains they hunt. Good characters will be far more discriminating about who they hunt. Attribute Requirements: IQ: 7, PS 12, PE 12 or higher; physical prowess and speed are helpful but not required. Racial Requirement: Man hunting is a profession suitable to beings that are callous toward the freedom of others. Whether in the pursuit of Justice, by the hands of a thug, or highway assassins, the characteristics of a Bounty Hunter fit well among any race that is self governed by ideals of Law, vengeance, or retribution. Hand to Hand: Expert, but can be changed to Martial Arts (or Assassin, if Anarchist or Evil aligned) for the cost of one O.C.C. Related Skill, or Commando for the cost of two. O.C.C. Related Skills: Select two piloting skills and seven other skills, but at least two must be selected from espionage. Plus select two additional skills at levels 3, 6, 9, 12, 15. All new skills start at level one proficiency. Secondary Skills: Select four Secondary Skills at first level from the Secondary Skills List in the Skill Section, +2 additional at levels 3, 6, 9, 12, and 15. These are additional areas of knowledge that do not get any bonuses, other than any possible bonus for having a high I.Q. All Secondary Skills start at the base skill level. Standard Equipment: A set of dress clothing, black and/or camouflage fatigues, a gas mask and air filter, tinted goggles, and an NG-S2 Basic Survival Pack, 1d6 grenades, robot medical kit, IRMSS, infrared distancing binoculars, language translator, passive night sight scope for rifle, 2d4 sets of handcuffs or manacles, a wooden cross (or equivalent holy symbol), 50' of strong cord/rope, utility belt, backpack, knapsack, and 1d4 sacks. Special Equipment: In lieu of the normal wish list items, the following sacrifices can be made. One, two, or all three categories may be sacrificed in this manner. Money: Starts with 2D6x1000 black market credits. "You'd best give your heart to Jesus, boy. Your hide belongs to me." In the lawless land of the New West, it has fallen to men and women of the cloth to be a reminder of god's authority. These Preachers travel the land, sharing the Gospel of the Lord with all those who would listen, and to serve as mediators in dispute, advisors in ethics, counselors to the troubled, and as a sword of justice to the wicked. Preachers are considered throughout the land to be a moral authority, and their judgements and pronouncements typically carry the weight of law. Travelling Preachers are tough, clever, observant, and self-reliant. In many cases, they are either loved and revered or hated, depending on where one stands on the law (and on the temperament and philosophy of the Preacher). Preachers are typically nomadic (although a Preacher may settle in a town if he or she feels called to do so, and start a more formalized congregation), and as such, they tend to follow the Code of the Cowboy while out on the range. * Consider a fellow cowboy a friend, until he proves otherwise. * Greet a fellow cowboy with a friendly word and hospitality. * Never wave a greeting; it is bad form and may spook the horse or cattle. * If one rider dismounts, you (and all others) should too. * Grabbing the bridle of a mounted man's horse is an act of aggression and intrusion over the rider's control of his horse. Expect trouble! * It's a cowboy's sacred obligation to show hospitality to visiting cowboys, including sharing food and information. * Deadbeats, loafers, tramps, saloon bums, outlaws, gamblers, and gunslingers ain't cowboys and ain't particularly welcome, especially at the ranch or on cattle drives and roundups. Watch your back around these fellas. There are two types of Preachers in the New West: the fire and brimstone, eye for an eye type, and the ones who preach tolerance, moderation and love. The Fire and Brimstone Preacher tends to deal out harsh punishments and lynchings accompanied by long, bombastic sermons about evil, penance and changing one's ways before one finds himself following these lost souls down the road to damnation! This type of preacher is also likely to carry a gun and has no compunction about "rooting out evil" using physical violence, guns and bloodshed. Such characters are hard men (and women) for hard times. Most are good people who sincerely care about the weak, innocent and downtrodden, especially women and children. However, the Fire and Brimstone Preacher is also more likely to harbor resentment and bigotry toward D-bees and even encourage their extermination; Simvan and Mountain Giants are often on the top of their list. They also have little kindness or respect for "heathens" such as Native American Indians and Psi-Stalkers, or any people who worship ancient "pagan" spirits and alien gods. As for the supernatural, these preachers often lead crusades against the demonic, and actively promote the destruction of all supernatural beings. "As the Lord drove the serpent out of paradise, so must we drive the demons and monsters of the Rifts from our world." This usually includes dragons, shapechangers, (supernatural or not), and all monstrous and reptilian beings regardless of their alignments and intent. The Peacemaker tends to be a more gentle and philosophical servant of god. Most teach healing, compassion, tolerance and understanding. They make stirring appeals to people's compassion, hope and brotherhood between all of god's creatures, including D-bees and alien creatures. They too stand tall and serve as judges against wrongdoers and issue punishments. Although they will sentence murderers and cutthroats to death, for other crimes they consider all the circumstances of a situation, whether the perpetrator seems truly repentant, and whether or not the punishment fits the crime. Thus, their punishments are more likely to include making restitution to the person or people wronged, community service, public admonishment, rehabilitation and prison time. Although many Fire and Brimstone Preachers consider the Peacemaker to be misguided and soft, the Peacemakers are not cowards or fools. They courageously stand against evil and will fight to protect the innocent when faced with no other recourse. Many have died defending others or standing up for what they believe. 1. Smite the Wicked: When fighting an opponent who is guilty of a crime (i.e., the Preacher has irrefutable proof or has personally witnessed the offense), the Fire and Brimstone Preacher adds 1D6 to all damage rolls to melee and ranged attacks. If using an MDC weapon, the bonus is in MDC, and if using an SDC weapon, the bonus is in SDC. are pretty drunk after six drinks (especially if drunken in less than two hours) — note a typical bottle of alcohol contains 16-20 shots/ounces. The effects of alcohol impairs the character's motor skills, sense of balance, and general perception of things. After three drinks: -6% on all skills. After six drinks: -12% on all skills; initiative and all combat bonuses are -2, and reduce speed by 20%. After nine drinks: -24% on all skills and reduce speed, initiative, attacks per melee round, and all combat bonuses by half. After 12 or more drinks (falling down drunk): -40% on all skills, reduce speed to 20% of normal, and reduce initiative, attacks per melee and all combat bonuses to two! 3. Hand to Hand: Basic, but it can be changed to Expert at the cost of one "O.C.C. Related Skill" or Martial Arts or Assassin at the cost of two skills selections. 4. One additional WP of choice. 6. + 10% on skills if intended to save a life. 2. Inspire Others: A Peacemaker Preacher can address a crowd of people with a short sermon, in an attempt to gain 1d4 + his level in temporary followers (whose alignments are not selfish or evil) in order to defend the town from invaders or natural disaster, or to join a posse to bring a lawbreaker to justice, or volunteer for some other noble pursuit (i.e., dig a well, bring in a crop, etc.). The inspiration lasts 1 hour per level of experience, and this ability cannot be used again for one week afterward. Inspired followers will use their skills in service of the Preacher's cause, and will fight if needed, but will not break their personal alignment while inspired. If asked to do so, the inspiration is immediately broken for that follower and any in hearing range of the request. Base Skill: 30% + 5% per level of experience. +2 to disarm on a "called" shot or in hand to hand combat (in each case, the intent to disarm must be announced). +1 to save vs mind control of any kind. +4 to save vs possession of any kind. +1 to save vs horror factor at levels 1, 3, 5, 6, 7, 9, 11, 13 and 15. Alignment: Any, but generally good or selfish. Most are well-meaning, honorable and live by The Code. Attribute Requirements: I.Q. 9, M.A. 10 or higher. The higher the M.A. the better. A high P.S. and/or P.E. are helpful, but not mandatory. Racial Requirement: Most western Preachers tend to be Judeo-Christian type preachers and are predominately human, although nonhumans may be allowed into the ministry as well. Note that Fire and Brimstone Preachers tend to harbor resentment against d-bees, however, so a d-bee of that subtype would be unusual. W.P. One Modern Weapon of choice. O.C.C. Related Skills: Select 7 other skills, +2 at levels 3, 6, 9, and 12. All new skills start at level one proficiency. Physical: Any, except Acrobatics and Wrestling. Pilot: Any (+5%), except power armor and military vehicles. Technical: Any (+10%; +15% to language, history and lores). Secondary Skills: Select 4 Secondary Skills at first level from the Secondary Skills List in the Skill Section, + 2 additional at levels 4, 8, and 12. These are additional areas of knowledge that do not get any bonuses, other than any possible bonus for having a high I.Q. All Secondary Skills start at the base skill level. Standard Equipment: Light to medium M.D.C. body armor of choice, hooded robe for traveling, two sets of white and/or gray silk robes for sermons, quality cowboy hat, boots, sunglasses, tinted goggles, air filter, a megaphone (for sermons), flashlight, notepad and pens or markers, a post-Rifts printing of the Bible (pre-Rifts relics are the most valued), large wooden cross, small silver cross on a chain, six wooden stakes and a small mallet, pocket magnifying glass, pocket language translator, first-aid medical kit, RMKS Robot Medical Kit, a bottle or skin of wine, box of matches or cigarette lighter, pocket mirror, a pair of handcuffs, 50 feet (15.2 m) of lightweight rope, utility belt, knapsack, backpack, and three canteens. Weapons, survival knife and two others of choice — should be reflective of W.P. skills or basic needs, and 3 additional E-clips/ammo clips for each. Note: Some preachers use electric stunners to control and contain criminals, especially fire and brimstone preachers (see Lone Star for details on stunners). Special Equipment: In lieu of the normal wish list items, the following sacrifices can be made. One or two categories may be sacrificed in this manner. Money: Starts with 3D4x100 credits worth of tradeable goods and 1d4X1000 in universal credits. Cybernetics: None to start, and usually avoid any, except for medical purposes, as unnatural. Note: A Preacher may have an assistant who helps as a servant, secretary and to spread the word. Such characters are not usually another player character (but can be) and are most likely the acolytes or devoted followers of NPC Preachers. They can be virtually any O.C.C. but tend to be low level rogue scholars, vagabonds, Saddle Tramps, Saloon Bums and ordinary townsfolk. On a world full of aggressive carnivorous dinosaur beasties, evolution can opt for some odd shortcuts (with the right nudge from a Genesplicer/God(?)). The Miscere were not quite cave-men when an unexpected genetic ability developed ... that of combining. This ability to for a Racial Gestalt (typically 4-8 members) allowed the Miscere to vault to the ... upper middle of the foodchain. Their homeworld includes reptiles reminiscent of both dinosaurs and dragons (big toothy bastards with scaley hides, fangs, and sometimes fire-breath). The Miscere in their Gestalt form are able to hunt large game, then break into their smaller member groups to hide/rest/forage. Their society is akin to the tech level of the Palladium fantasy world. Disposition: The Miscere are emotionally very group oriented, yet they do not give themselves over to the collective. The Gestalt is a means to survival, not an end/goal. Physical Appearance: The Miscere are short hairy humanoids reminiscent in size of Goblins, however their skin is a cornflower blue. Hair begins as black and lightens to white over the years. Psionics: 15% chance, somewhat less than Humans. Habitat: The Miscere survive in a variety of climates across their homeworld from jungles, to plains and forests. They are not overly fond of cold, however they have found that many reptilian predators avoid colder climates, so they sometimes group along and skirt the edges of these areas. Enemies: On their homeworld, the Miscere's natural enemies were the larger toothier occupants who viewed these small mammals are weak, tasty little morsels, if you could get one alone. Notes: This Race was built to try and breathe interest into the Gestalt class from Powers Unlimited 2 [PU2 Pages 43-47]. The idea was to have a race who had evolved the ability to could combine their respective attributes in times of crisis. ● The combined Gestalt forms add each of the Physical Attributes together [certain limitations apply -- PP is limited to a Max of 30. PS, PE, and SPD do not have an upper limit], and the members' SDC is added together then multiplied by 2 [Damage sustained by the aggregated Miscere is distributed proportionately based on the number of members]. Senses are sharpened (multiplied) by 1/2 the number of members, so sight/hearing/etc. are improved and allow for tracking/guarding villages/etc. Aggregated Miscere Strength Classification: Superhuman Strength for lifting/carrying purposes. ● Members retain consciousness thoroughout the time as an Aggregated Miscere, and do remember events from the perspective of the Gestalt entity (this also makes the Aggregated Miscere +6 vs possession). Folks who are upset by the actions as a result of the Aggregated Miscere doing things they disapprove of (see below), may not elect to join in the future. ● The Aggregated Miscere/Gestalt's combat is run via fast-acting democracy (See PU2), resulting in a -1 initiative penalty for every 4 members. ● The Aggregated Miscere/Gestalt knows everything the members who merge into it know, at the same skill level (if 2 or more people have the skill, the highest Level/Skill Percentage is used). ● Maximum number of members for an Aggregated Miscere is the level of the most experienced member times 2 (so a 3rd level could group up to 6 Miscere). ● The race could create a very formidable beast-like opponent, however larger Aggregate Miscere tend to become more ponderously slow as the initiative penalties burgeon. Further, a team could be played onsite (EU), but convincing everyone to play the same race might be difficult. S.D.C. : P.E. x 12 S.D.C. 4. Super-Strong: +2D6+10 to P.S. 5. Super-Tough: +1D6 to P.E. and +3D4x10 to M.D.C. The character can change at will into one animal, one time a day per level, for one hour. The character gets all the advantages of the shape and retains his M.D.C., ability to speak and all attributes. The animal has to be a normal animal, not a monster. If this ability is taken twice, the character can shape shift into ANY type of normal animal. 7. Impervious to one type of attack. Pick one: Cold, fire, lightning, energy, toxins, mind control, or possession. 8. Super-Swift: +1D4 to P.P. and +1D6x10 to Spd. The character has all the abilities (only) of a practitioner of magic. Godlings are bestowed (via their deific link) all spells of one (of the same level as the character) magic discipline associated with their O.C.C. of choice. i.e. A 1st level character knows all 1st level spells in that discipline, at 2nd level all 1st and 2nd level spells, etc. If a player wishes to master two disciplines, this ability must be selected twice. Godlings do not and cannot learn new spells. All new spell knowledge is bestowed & tied to their XP level. This power can be taken twice to acquire two different sets of magical abilities & magic disciplines. Godlings who choose to apply #10 to being a Warlock only master one element per application, thus limiting them to 2 elements. 11. Fly: The ability to fly under one's own mystic power and without exhaustion. Combat: Varies with hand to hand skill selection. Bonuses: + 1 APM, +1D4 to initiative, +1 to strike, parry and dodge, +2 vs magic, +6 vs horror factor. Psionics: Unless Power #9 is chosen, Godlings are minor psionics. Magic: Unless Power #10 is chosen, Godlings have no magic abilities or spell knowledge. Select a total of 5 secondary skills from the previous list. Average Life Span: 50,000 years, effectively immortal. Habitat: Virtually anywhere; home is determined by pantheon. Typical Allies: Friendly pantheon members and priests of the pantheon. Enemies: Hostile members of the Pantheon, rival pantheons supernatural beings in general, and, depending on the character's alignment and deeds, the forces of evil or good. Note: Most godlings consider themselves superior to mortals and may have been raised by gods or in an alien place. Consequently, they may not understand human customs, laws, morality or modern technology. A Safecracker is a demolitions expert and mechanical engineer who uses his special "talents" to "crack" safes, open security doors, break in and out of prisons, pick locks, avoid/bypass or disarm security systems, and similar feats. They can use their abilities to such precision that they can "blow" the lock off a safe, security door, safe deposit box, and similar without creating a big, area-effect explosion or inflicting massive amounts of damage. This means delicate, flammable or valuable contents of a safe or container, or a person/item behind a door, may be shaken up a bit, but are not damaged or injured. The blast and subsequent damage are concentrated and directed at disabling locks and opening doors. This skill can also be used for precision demolition and sabotage. 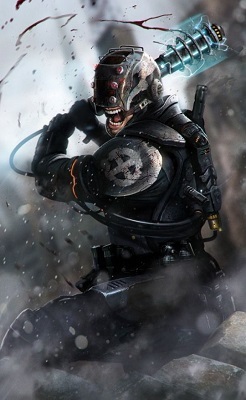 The character is an expert in the use of all types of explosives, incendiary devices, blasting caps, and timing devices. He is also a mechanical engineer with a basic knowledge of electronics and computers. Although the Safecracker may use his demolitions expertise to steal the contents of a safe (for criminal/selfish reasons or as an espionage specialist), and may use documents and data obtained from safes as evidence against others or for blackmail, he doesn’t typically pursue a slew of other rogue skills. He's a Safecracker - a specialist, not a common crook. 1. Black Market Benefits: All three Black Market Benefits are available to this character. Many Safecrackers operate legitimate “Locksmith” businesses on the side, or as a cover, for their nefarious activities. 2. Black Market Special Abilities of the Safecracker: The Safecracker begins play with B&D Man and Fence. The Safecracker may pick two additional Black Market Special Abilities of choice at level one, and one more at levels 3, 7, 10 and 13. Subdued Charge - The Safecracker can “subdue” an explosive charge so that the detonation is only a third as loud as a standard detonation. Saferackers with this ability often use it to obtain illicit access to guarded locations or materials without alerting guards. This is accomplished by utilizing a combination of specially designed reusable acoustic dampening devices with knowledge of acoustics and demolitions, and has a base skill of 40% (+4% per additional level of experience). Success results in a reduced chance for the guard(s) to hear the detonation (guard perception and sensory equipment functions at effectively one-third the normal range to detect the detonation of a Subdued Charge). A failed roll results in the charge not being subdued and detonating normally, with all the normal consequences thereof, and destroys the acoustic dampening devices. Grace Under Pressure – Not only are Safecrackers experts with all manner of explosives, rivaling or – in some cases, exceeding - the expertise of the best military-trained Ordnance specialists out there, they've mastered the ability to work efficiently under intense pressure. As a result, any skill roll the Safecracker with this ability makes to disable or disarm any explosives and/or locks while in a stressful scenario (including while being shot at or in a combat situation) is made without any stress-related penalties. Skills which are unrelated to disarming/disabling a lock or explosive device are unaffected and subject to normal stress-related penalties. Lock Whisperer: Some Safecrackers appear to possess a preternatural facility with locks and are able to “coax” the lock open, given enough time. Safecrackers with this ability may elect to use it to receive a cumulative 1% bonus on their Locksmith roll for every minute spent on the lock (maximum of +30%), and ignore the normal 20% penalty associated with attempting to unlock super high-tech systems, such as those used by militaries and governments. In addition, electronic locks the Safecracker fails to open are not damaged by the attempt, allowing the Safecracker to repeat attempts without damaging the lock. Note: Locks, especially high-tech locks used by militaries or governments, may still have alarms or traps that could be triggered by failed attempts. Furthermore, while using this ability, the Lock Whisperer can engage in no other activities – even talking to others is a distraction! Many Lock Whisperers, however, do have a habit of talking to the locks they are working on, pleading with them or coaxing them (“Come on, open up, you know you want to let me in”, etc. ), thus leading to this ability’s nickname. Attribute Requirements: I.Q. 10, M.E. 14, P.P. 14 or higher. Alignment: The vast majority of Black Market Safecrackers are anarchist or evil alignment. Even Unprincipled characters have trouble reconciling the notion of becoming a Black Marketeer criminal, but the occasional rare outlier surfaces from time to time. Characters of good alignment cannot become Safecrackers. Hand to Hand: Basic, but can be changed to expert at the cost of two O.C.C. Related skill selections, or martial arts (or assassin, if evil) for the cost of three O.C.C. related skill selections. Select seven other skills. Select two additional skills at level three, and one at levels six, nine, and twelve. All new skills start at level one proficiency. Espionage: Detect Concealment, Intelligence, Undercover Operations, and Wilderness Survival only (+5%). Military: None, other than the O.C.C. skills listed above. Physical: Any; except gymnastics and wrestling. The character also gets to select five Secondary Skills from the Unified Skill List. These are additional areas of knowledge that do not get any bonuses, other than any possible bonus for having a high I.Q. All Secondary Skills start at the base skill level. Standard Equipment: Armor, weapons, or vehicles are to be determined by the standard EU Wish List process. A Safecracker begins with a set of black clothing, a set of dress clothing, fine leather gloves, a box of disposable surgical gloves (100 per box), ski-mask, tinted goggles, a doctor's stethoscope, PC-3000 hand-held computer, PDD pocket audio recorder, pocket laser distancer, pocket flashlight, portable tool kit, automatic lock pick/release gun, and lock picking set. Also a Wilk's laser scalpel, two additional E-clips or loaded magazines for each modern weapon proficiency, knapsack, backpack, canteen, gas mask and air filter, briefcase, and some personal items. Safecrackers who elect the “Subdued Charge” ability also receive the specialized acoustic dampening devices, which take up about as much space as, and weigh as much as, a brick (about 5 pounds). Replacement acoustic dampening devices can be found and purchased through the Black Market (cost 5,000 credits each, uncommon availability). Explosives: 1D4+1 explosive hand grenades, 2D4 smoke grenades, 2D4 shaped charges/plastique, and two fusion blocks of choice! Money: 4D6x1000 in credits and gems, and black market items worth 2D6x1000 credits. Cybernetics: None to start, but augmented hearing, sight and sensor hands are common. The number of assassins for hire is steadily growing on in the Megaverse. Many are ex-military or ex-security force members who have a valuable skill: killing people. 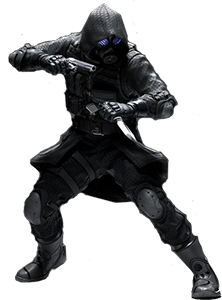 Unlike most mercenaries, they kill not in the battlefield, but in unlikely places, such as along city streets, at parties, and in private quarters. Most (90%) Master Assassins will be aberrant, with the rest anarchist. Some assassins will only kill targets that "deserve it" (at least in their opinion) and may never accept a job where innocent people will be harmed. Many anarchists don't care who the target is or whom else might get hurt. The aberrant assassin is probably the more trustworthy of the two, provided the employer does not cheat, betray or repulse him or him. Often, Master Assassins get close to their "marks" via subterfuge and disguise, impersonating others to gain access to otherwise inaccessible areas or blending in with a crowd to be better able to unexpectedly surprise and waylay their targets. Many mercenary companies have one or more master assassins used to eliminate designated and paid "hits", enemy commanders, and other strategically important individuals. Often, one well placed shot, eliminating a key individual, can cripple or divide an enemy force. Death Blow:The Master Assassin gains the Death Blow special attack described on page 346 of Rifts: Unlimited Edition and revised for use on EU. Only aimed called shots qualify for this special exception to the Death Blow rules. Hence, when using One Shot, One Kill, the Master Assassin receives a +3 to strike modifier, can only use a single shot or blast (no bursts), and is required to target a specific location. This ability requires complete and total concentration. As a result, instead of using 3APM like a normal aimed called shot, One Shot, One Kill uses up ALL of the Master Assassin's attacks for the melee round, must be announced as their only action for that round, and is resolved at the end of the melee round in which it is declared. The Master Assassin may not perform any other action during the round in which he performs this attack, including any form of communication. The amount of concentration required for One Shot, One Kill demands such an absolute level of focus that the Master Assassin effectively closes themselves off to all other stimuli. Treat this as an automatic critical fail on any Perception or Perception-based roll, and the Master Assassin loses initiative (goes last in the round). This ability can be interrupted. The simplest way to interrupt One Shot, One Kill is to injure or knockout the Master Assassin using it, actually causing him to take physical damage, or causing him to take defensive action, including dodging or parrying. Other actions like tackling or knocking over the Master Assassin work too. Likewise, any act that causes the loss of a melee action will interrupt the ability's use, as will anything preventing the Master Assassin from using or retaining complete control of the weapon being used (paralysis, holds, being disarmed or thrown, etc.). Hello Darkness My Old Friend: Similar to, but more highly tuned than, the Blind Fighting skill (Rifter 12), some Master Assassins train so extensively while blindfolded that they are able to effectively ignore any penalties for fighting blind within a 10' radius (double the normal range). This ability is automatic to the Master Assassin and, in addition to suffering no penalties when fighting blind, he is even able to effectively fight alien or unfamiliar opponents (ignoring the normal -30% penalty per the Blind Fighting skill). Never Go In Against a Sicilian When Death Is On The Line: These Master Assassins spend a significant amount of time introducing almost imperceptibly small, but ever-increasing amounts of poisons into their own bodies, slowly developing an immunity to them over time. The Master Assassin with this ability gains a bonus to save vs. lethal and nonlethal poisons equal to half his character level (round up). Furthermore, if the Master Assassin also has the Venomous ability, he develops complete immunity to any poison they know how to create. Soma: This poison causes those affected and failing their saves vs. nonlethal poison to fall into a deep slumber from which they cannot be awakened. The sleep lasts for 4d6+6 minutes, with the victim being groggy for 1d4 hours following, resulting in penalties of losing half their melee actions, -8 to initiative, -4 to strike, parry, and dodge, and -30% on all skill rolls. This poison may be created either in an ingestive form (odorless and tasteless), or as a form designed to take effect when introduced directly to the bloodstream of the victim, in which case the victim receives a +3 bonus on their saving throw. Evacuation: This poison causes extreme nausea in its victims, and results in the poor soul afflicted by it being forced to evacuate the fluids and contents of their stomach from both the front (vomiting, lasting 1d4x10 minutes) and rear (diarrhea, lasting 1d4 hours) of their bodies. After all fluids have been expelled, the victim still suffers from dry heaving and "false alarms", and is in danger of dehydration and must imbibe fresh liquids shortly or lapse into a coma and eventual death (-10% to save vs. coma/death while dehydrated). While affected by this poison, the victim suffers a -5 to initiative, and -2 strike, parry, and dodge. Vomiting occurs every 1d4 minutes, while the diarrhea occurs every 1d4x10 minutes. While suffering vomiting or diarrhea, victims are effectively incapacitated (and are likely to be quite embarrassed). This poison is only available in an ingestive form. Botox: An especially potent derivative of Botulism Toxin, this poison is often used when a Master Assassin wants their "mark" to remain aware but incapacitated. The poison is very fast-acting, and temporarily paralyzes a part of its victim’s body immediately after taking effect. A paralyzed arm means that the person cannot pick up or hold objects, or use the arm in any way: it dangles uselessly at the victim’s side. A paralyzed leg makes standing difficult and movement nigh-impossible: reduce speed by 90%, and -2 to parry and dodge. A strike to the head (requires a called shot even as a melee attack) causes the victim to be unable to speak and they are partially blinded (eyes locked in place), resulting in a penalty of -5 to strike, parry, and dodge, as well as losing initiative for the duration. Partial paralysis lasts for 1 minute (4 melee rounds) before the Botox wears off and the affected area returns to full ability, able to be used normally. On a critical strike, the target’s entire body is paralyzed resulting in the victim being completely incapacitated, helpless, and unable to perform any physical action whatsoever – they drop whatever they are holding and fall to the ground, unable to move. Each melee round after the first, after being struck by a critical strike, a victim of this full-body paralysis may make a saving throw to shrug off the effects, gaining a +2 bonus to his saving throw (+2 on 2nd melee, +4 on 3rd melee, +6 on 4th melee, etc. If the Master Assassin is attacking his intended victim at range (with Archery and/or Targeting, for example), this poison requires a called shot, and the victim must be struck with a physical projectile dipped in the poison. Melee strikes must involve a tangible, physical weapon dipped in the poison. This poison can only be used as a blood poison, i.e. it must be introduced directly to the bloodstream through a wound. Note: Players of Master Assassins are encouraged to formulate their own poisons, subject to GM approval. Attribute Requirements: I.Q.11, M.E.13, P.P. 13. Alignment: Restricted to anarchist or evil characters only! Special O.C.C. Abilities and Bonuses:: +3 to initiative, +15% on Perception rolls, +1 to save vs mind control, +2 to strike (in addition to other combat bonuses). Select seven other skills. Plus select two additional skills at level three, two at level six, one at level nine, and one at level twelve. All new skills start at level one proficiency. The character also gets to select six secondary skills from the Unified Skill List. These are additional areas of knowledge that do not get any bonuses, other than any possible bonus for having a high I.Q. All Secondary Skills start at the base skill level. Standard Equipment: Black jump suit, military fatigues , a set of camouflage clothing, dress clothing, and a small wardrobe. Also a gas mask and air filter, tinted goggles, S.D.C. knives (1D4), six extra energy or ammo-clips for each modern W.P., robot medical kit and IRMSS , knapsack, backpack, canteen, and some personal items. Armor, weapons, or vehicles are to be determined by the standard EU Wish List process. Money: 3D6x1000 in credits, and black market items worth 1D6x1000 credits; some assassins tend to live for the moment and spend money extravagantly on life's many pleasures . Cybernetics: Has 1D6+1 cybernetic implants of choice.